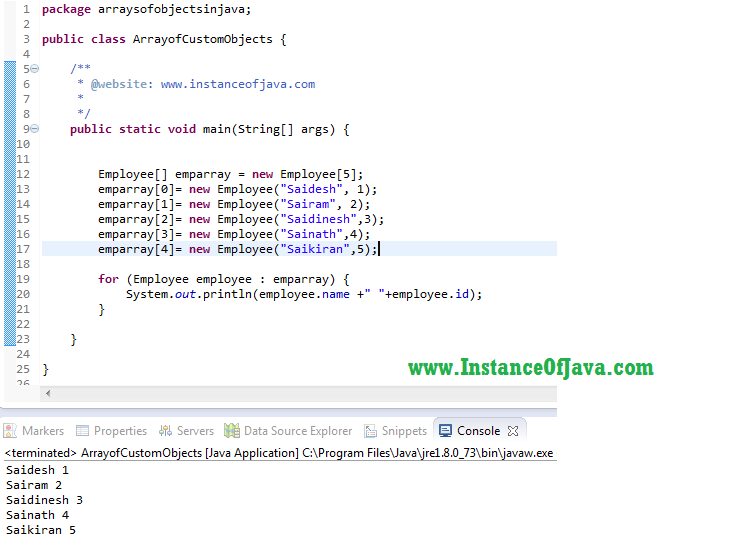 Array is collection of similar data types. We can also store custom objects in arrays . Create multiple objects of employee class and assign employee objects to array.